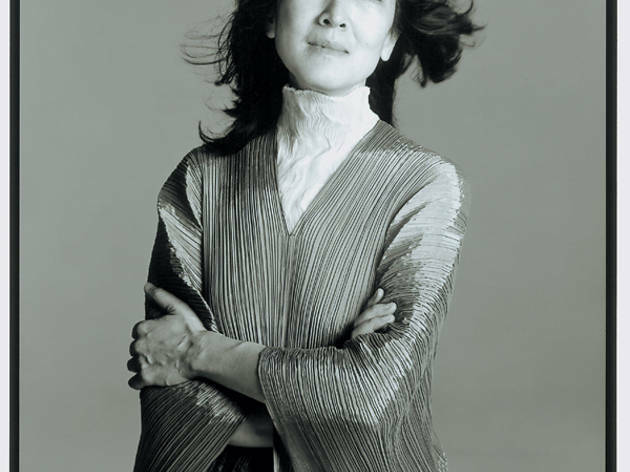 Legendary pianist Mitsuko Uchido talks about her father, her schooling, her recordings and her fame in a rare interview. Photograph: Richard Avedon HIGH FIVE During our chat, Uchida rated the CSO as one of the top five orchestras in the world. 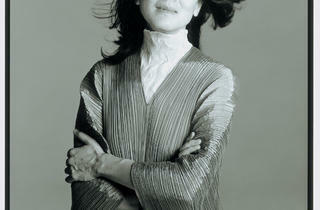 After she codirected the Marlboro Festival in Vermont this past summer, we briefly chatted with Mitsuko Uchida. The extraordinary and intensely private pianist agreed to a rare interview. Finally, two weeks ago, following some lo-fi communication with fax machines, we again made contact with the 62-year-old, who spoke to us over the phone from London. The world-renowned performer opened up about her diplomat father, a sublime Schumann album she recently recorded for Decca and her admiration for the CSO, with whom she will be performing two of Mozart’s greatest hits this week, the Concerti Nos. 11 and 21. You are a master interpreter. How much of interpretation comes from the tradition of the performers that have come before you, versus from yourself? Or is it simply inherent in the score? I want to express what is inherent in the score. Just that, if possible. But it is not possible. I cannot get out of my own body—my life, my senses, the way I hear harmonies, the way I think. I wouldn’t be playing the way I am if I hadn’t gone to Vienna as a child. If I’d stayed in Japan until I was 20, I would not have become a musician. There was not much that inspired me [in Japan]. What inspired you to go to Vienna? My father was posted to Vienna. From then on, I never lived in Japan. Four years in Vienna and then four months to Germany. At that point I asked him to let me go back to Vienna, and he did. Probably out of laziness, rather than conviction. At 16, I went away from home and lived in student hostel, finishing university [the Vienna Academy of Music] at 19. What did Vienna offer you, musically? While in Vienna, it’s not necessarily that I followed what I heard or what I was told. But there is a subconscious. The language that Schubert spoke, it is in my blood. I didn’t want to follow the way that people played. I didn’t want to repeat other people’s mistakes. I wanted to invent my own mistakes. What discoveries did you make in preparation for your latest album, Schumann: Davidsbündlertänze, Fantasie in C major? I discovered, I’m afraid to say at a fairly late stage, that the archives in Vienna’s Gesellschaft der Musikfreunde house a wonderful concert hall and the [original score of] Schumann’s “Davidsbündlertänze.” The way it came there is it came to Brahms, so Brahms must have been given that manuscript by Clara [Schumann, Robert’s wife]. And he left his manuscript archive to the Gesellschaft. I went to look at it. I was shocked at how many things disappeared in later editions. Schumann, oh God, he was not very professional in the way he wrote [music] down. He was not a good pianist. He was an okay pianist but no more. He had so much music in him, and he didn’t know how best to put it into words, as it were. He easily changed his mind. You don’t know when and why he changed his mind, or maybe it was just what was in the first printing or the second printing. You don’t know if it was him, or if somebody interfered. What strikes me about your recordings is that it feels, sonically, as though we’re in a concert rather than a studio. I record in concert halls. The difference is that the hall is empty. You play for the composer. Of course he’s not there, he’s not listening. I don’t believe in reincarnation or any of that. But just in case [the composers] were listening, I want them to be able to say, “Ah, at least she meant it.” You can’t ever be right. Only Mozart can be right about Mozart’s music. Does fame interfere with your music making? No. You know what I do? I restrict the number of concerts per year to 50, a tiny number for anybody with my sort of career. Some of my colleagues do 75 or 100. Some mad people do 150. Fifty per year keeps me sane. It does become more and more difficult to have small concerts to play, places to play pieces for your first time. You’re playing something for the first time, and some newspaper critic turns up because he wanted to hear Mitsuko in a small place. I say, give me a break. But I have up my sleeve some places in Europe that I can still hide and play, some teensy places. Once you are exposed, you are exposed and you have to simply live with it. Uchido sits with the CSO Thursday 27 through Saturday 29 and Tuesday 1.